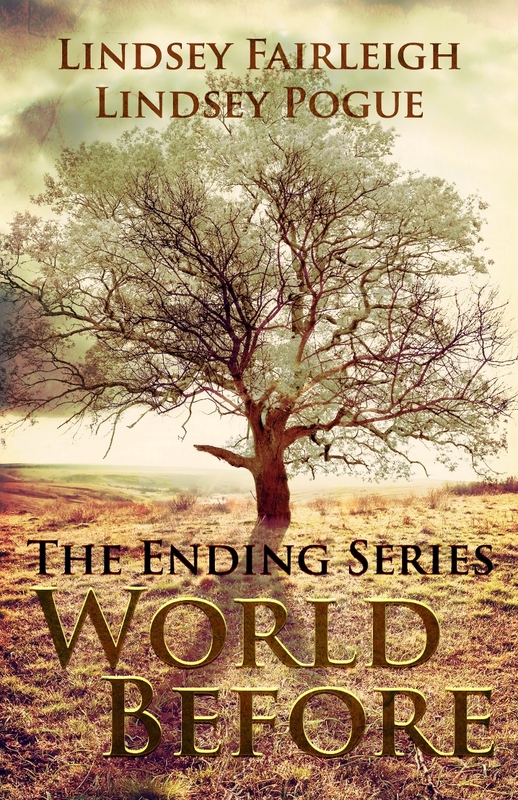 As most of you Ending Series readers are aware, The Ending Series proper has come to a close. Yes, there will be small writing projects here and there, specifically World Before and World After that will be getting some more buzz later this year. But what we'll call The Ending Series origin novels are complete. Finito. Closed. Finished. Done forever. That being said, we wanted to share a little bit about all of that with you through a series of short blog posts. To start, here are FAQ's that you may or may not be wondering yourselves. Get out the libations and popcorn, it's sort of a long one. Happy Reading! LP: Romance fan, yes! Science fiction…not so much. My dad was a sci-fi reader when I was growing up, so I was surrounded by books with spaceships and laser guns on the cover. I assumed that was all the science fiction genre consisted of. Clearly, I was wrong. When LF and I first started The Ending project, I wanted to write and embrace my creativity. Our collaboration was going to be that outlet for me so I committed myself, not caring what the genre was. Since then, I’ve started to read more dystopian novels, and I am fascinated with the intricacy of some of the more epic science fiction storylines. LP: Go with your gut and keep in mind that you will NEVER please everyone—the latter is something I’m finally coming to terms with. LP: It has always been easier for me to write down how I feel as opposed to communicating it to someone aloud. I started writing in journals at a very young age and inevitably my ideas, dreams, and life experiences starting turning into more than that. Little bits and pieces of my observations and of my life turned into storylines, and soon fictional characters and plots began to develop until I had so many story ideas that I had to invest in cases of floppy disks (yes, real plastic floppy disks) to save all my stories onto. I’ve been writing so long that as I go back now and read through some of my stories from fifteen years ago, I can’t help but laugh because they are so horrible and surprising at the same time. LP: I’d like the readers to consider this our interpretation of the humanistic side of things. I think we provide a pretty realistic picture of what life would be like after The Ending (maybe minus all the hot guys running around). Yes, Zoe and Dani are in their twenties, but that’s young and they’re alone, and the world as they know it is ripped out from under them. There is so much for them to process, and they are scared and grasping for any sense of normalcy they can find. For them, sometimes that means crying too much, distracting themselves with men, and making poor or rash decisions. Are they acting immature? Maybe, but unrealistic would actually be having them pick up a rifle and start blasting people without a second thought. Our heroines have a lot of maturing to do throughout the series, so partially I think we wanted to show Dani and Zoe as they were prior to The Ending, and as the series progresses, how they grow. LF: Hmmm...maybe that the apocalypse doesn’t have to be entirely about death and sadness. That’s not to say that those things aren’t present throughout the books--I think Dani and Zoe have emotional and mental breakdowns nearly every other chapter--but we really wanted to highlight the undeniable power of hope, love, and friendship. For Dani and Zoe, a life without those things would have been only a half-life. LF: LP and I have three Ending projects planned down the pipeline - two that are much more immediate and one that's definitely a several-years-out project, as we'd like to develop our other, separate projects and grow individually as writers and creators. The two more immediate projects are titled The Ending Series: World Before and The Ending Series: World After, and both are story collections featuring our favorite Ending Series characters, but not focused solely on Dani and Zoe.